If you answered yes to any of the items above, then your policy could leave you open to a high risk of OSHA citation. As always, there are exceptions to the rule. Employers that are complying with state or federal drug testing requirements are not affected. Here’s another checklist. Take a look and see how it compares to the one above. If you answered yes to any of these questions, then you have already taken steps to ensure OSHA compliance. 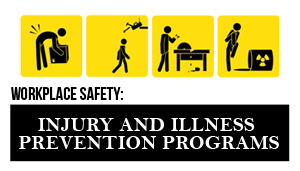 Until the final rule is passed on November 1 please click the link below to view the information on OSHA’s website.